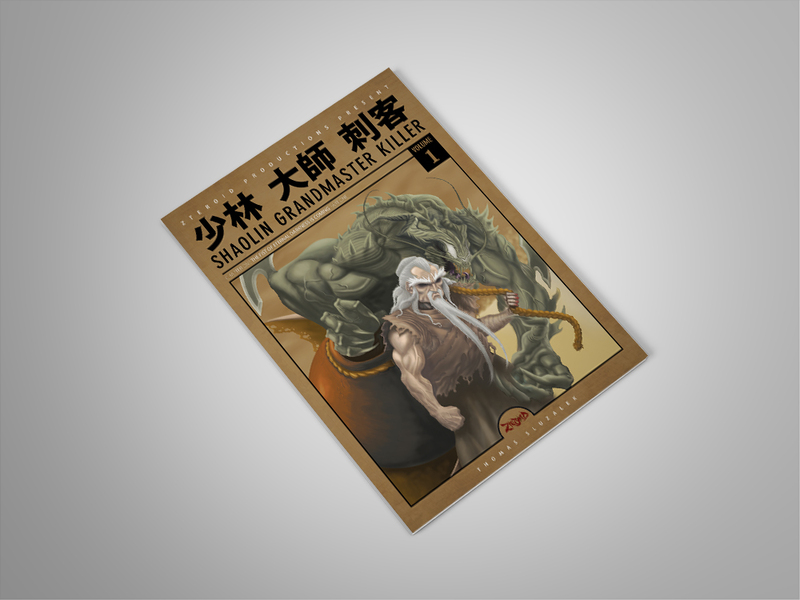 SHAOLIN GRANDMASTER KILLER is a selfpublished seinen manga/comic book series about the life of Gu, an old evil white browed kung fu master living in a post-apocalyptic fantasy world inhabited by monsters, aliens, robots, kaiju and all kind of creatures. As the series progresses we find out how and why he has become a monster in human form. SHAOLIN GRANDMASTER KILLER #1 (2nd edition) is available in my shop!